This sleek ink pen is a perfect giveaway for your current and potential customers. Add up to four lines of personalization to keep your contact information at the fingertips of your customers. 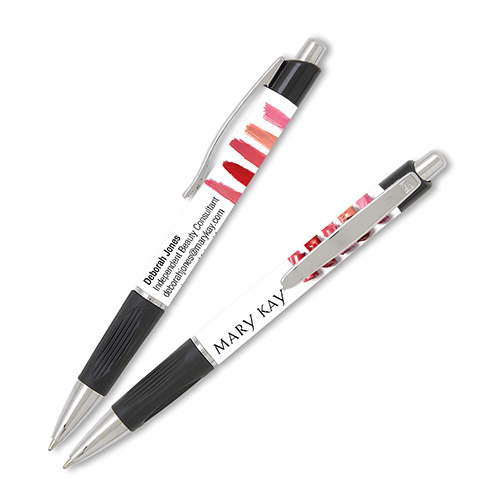 Featuring classic, vibrant Mary Kay lipsticks, this pen writes with black ink, has a comfort grip, and slanted silver accents.